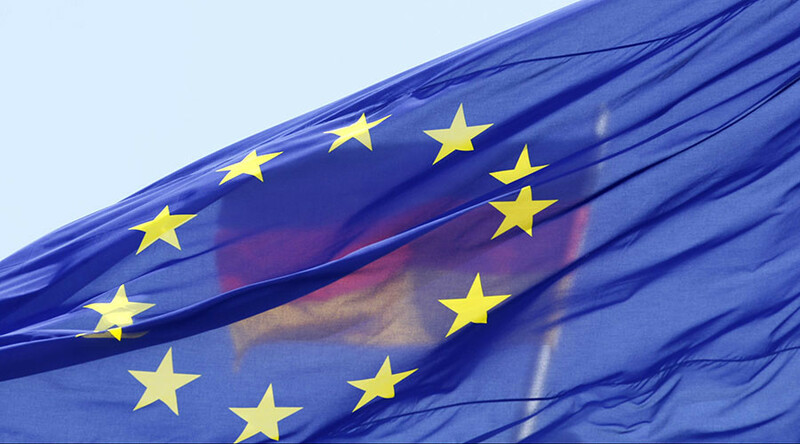 Nearly a third of Germans would like to leave the European Union according to a poll published in the Handelsblatt newspaper. Although Germany is traditionally pro-EU, the survey shows the growing discontent in the bloc’s largest member. Anti-EU skepticism has recently been growing in Germany due to Berlin’s refugee policies, which saw over a million migrants arrive in 2015, with hundreds of thousands more expected during the course of this year. The YouGov poll commissioned by Handelsblatt found that 29 percent of Germans would leave the EU if a referendum were to take place. Surprisingly, only 54 percent of those living in Germany supported staying in the bloc, with the remainder undecided. Members of the German public have also become fed up with Berlin having to bail out Greece from its debt crisis to the tune of billions of euros. The poll showed that the German public believes Athens is the biggest benefactor of being a member of the bloc. The results of the poll come on the back of a separate survey conducted by Insa for the tabloid Bild, which showed that the popularity of Chancellor Angela Merkel’s government has dropped below 50 percent. Conversely, support for the anti-immigration Alternative for Germany (AfD) party has soared in recent months. 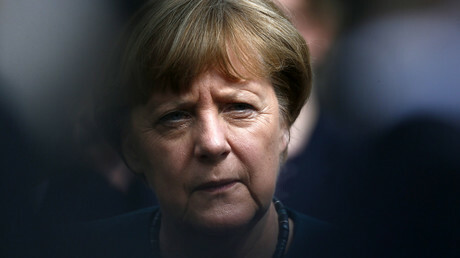 In May, another survey showed that just under two thirds of German voters are disappointed with Chancellor Merkel’s policies and would not support her candidacy for top office in elections. Discontent with Merkel’s rule is equally spread throughout the nation, with 63.8 percent opposing the chancellor in the west of Germany and 64.8 percent in the east. Merkel and her government are being punished by the electorate for the open door policy towards refugees. The German government plans to spend almost €94 billion (US$105 billion) for incoming refugees over the next five years, Der Spiegel magazine stated in May, citing a statement from the Federal Ministry of Finance (BMF). In 2016, the BMF plans to spend around €16.1 billion on migrants; by 2020 annual expenditure is expected to be somewhere in the region of €20.4 billion. To put this into perspective, Germany’s 2015 military budget was €36.6 billion. This mass expenditure comes at a time when record numbers of children in parts of Germany are experiencing poverty, with over 1.5 million needing help from the state. Figures revealed by Sabine Zimmermann, MP for the Left Party, who requested them from the Federal Employment Agency, showed that every third child living in Berlin is dependent on welfare. “The huge numbers of people on benefits who have children mirrors the tense job market in many regions in which there are far too few jobs and wages are too low,” said Zimmermann, according to The Local.